Is Slovakia’s capital Bratislava on track to join the top European tech startup cities? Silicon Valley is today not necessarily the best place to start a business. It is really hard to recruit and retain good engineers because you are competing with companies such as Google or Facebook. A lot of globally successful start-ups are today born in Europe. London and Berlin are the European cities attracting tech people because they are cool places to be. Stockholm and Tallinn are other cities popular among tech companies. Are there more European places with good conditions for tech companies? Slovakia, the small country in the middle of Europe, might have been overlooked by investors in the tech industry in the past – but we might be surprised what startups were and are being born there. Slovakia is part of European Union and the euro zone, it enjoys fair corporate taxes and not-too-crazy bureaucracy. Talented people concentrate in Bratislava, the Slovak capital city. The workforce is significantly cheaper compared to London, Berlin or Silicon Valley. The average salary in Bratislava is €1000 per month according to platy.sk. Senior programmers earn an average of about €1800 per month, compared to over $8,000 per month per month in Silicon Valley. The knowledge and expertise amongst the Slovak IT workforce is very high, with Slovaks employed by companies such as Google and Facebook. Bratislava also hosts a couple of technical universities. Still, when it comes to living conditions, the relatively small Bratislava lags behind London or Berlin, although proximity to Vienna helps a bit. Slovakia has a great advantage compared to bigger countries such as Poland or Germany. Slovak tech entrepreneurs have found the country’s population of just 5 million is not simply big enough to feed them. If you start in one market, and the domestic market is large, there is a danger you can get stuck there. A lot of Polish companies, for example, end up depending on their home market. The advantage of Slovakia is that it is so small that you have to think internationally from the start. Let’s start with Quality Unit, a privately owned software development firm set up in 2004. Its flagship product is the award-winning affiliate software Post Affiliate Pro. Post Affiliate Pro is easy-to-use, and easy to set up to manage your own affiliate program. The firm has 19,000 customers worldwide. 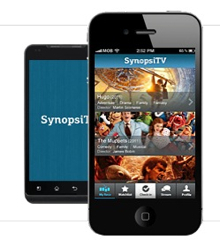 SynopsiTV differentiates itself from existing services whose general ratings lack your personal attitude to the movie. “One-off ratings express your personal view only at the given moment. But it’s totally different if you watch a movie when you’re 13, 25 or 50. That’s why we’ve decided to get rid of these problems and to concentrate just on the recommendation fitting your actual taste and needs,” says the company’s founder, Rastislav Turek. Piano Media, founded by former journalists, is building a common payment system that publishers can readily use to charge for exclusive and premium online content and services. Piano powers a so-called “national paywall” used by 9 major publishers across over 40 properties in Slovakia. Users of Piano pay one flat monthly fee and can access this exclusive content across a growing network of media publishers. Piano was a finalist of Vienna Startup Week 2011, and its expansion plans have previously been covered by The Next Web here. The 2-year old startup Nicereply provides an easy-to-use tool that allows your customers to rate and comment on emails. It’s an email feedback system which helps to satisfy customers. Nicereply provides detailed statistics on ratings from customers and also tracks overall rating change in time. The system works with all help-desk systems. It’s easy to be customized to any language. See The Next Web’s previous coverage here. Sportmeets is an online service that aims to help more people play and engage in sports. It was set up by Miro Solanka during his studies at the University of Glasgow. His experience with running the university volleyball club and participating in a variety of sports on campus made him realise the significant amount of work and time that the person in charge of a sports group typically has to devote just to set up a game or a sporting event. Sportmeets has been designed to make recreational sports more enjoyable for the players and the organisers alike. It provides a set of innovative and practical tools to make life easier for the group organisers, coaches and captains of all kinds of team sports. It helps individuals find and join local sports groups, partners or events that match their sporting interests and skill level. Other Slovak startups worth mentioning include: Thapir, Adinis, MySpectral, Domelia, Shupito, WorkInField, Studentive, FinViz,TouchQode, Soundz.fm, Asmira, Foretaster, NetOutNow, GetQuantify, Talker, Lingibli, Relbit and Meevl. Bratislava has become a cool place for networking and startups meetups. The city hosted StartupWeekend last year and another is planned for mid-May of this year. StartupCamp events take place every month. Startup Awards meetups offer another chance to meet and discuss new ideas. Though there are no huge successes yet in Slovakia, the list of local startups with global ambitions is growing and hopefully some of them become real blockbusters.